These packages incorporate your advertisements in the program and during dining events. There are two options available. This package helps cover lunch expenses for the attendees and includes a full page ad on the back cover of the 2019 program, display of your logo throughout the lunch program, and mighty thanks from the podium. With this package, you will receive one full page advertisement in our stunning conference program as well as your logo displayed throughout the reception. 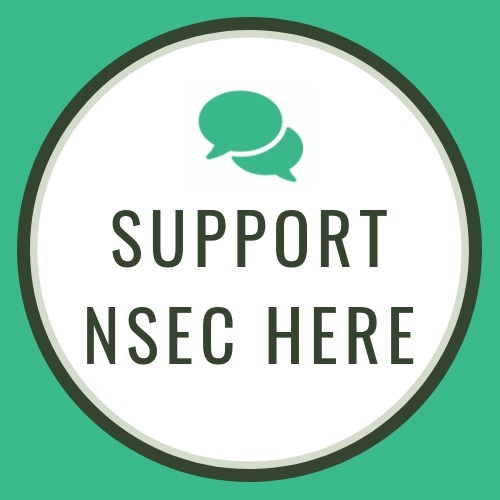 Follow this link to complete your sponsorship of NSEC 2019. When checking out, simply, select LUNCH SPONSOR or RECEPTION SPONSOR. Please note that you will need to create an account to complete your transaction.